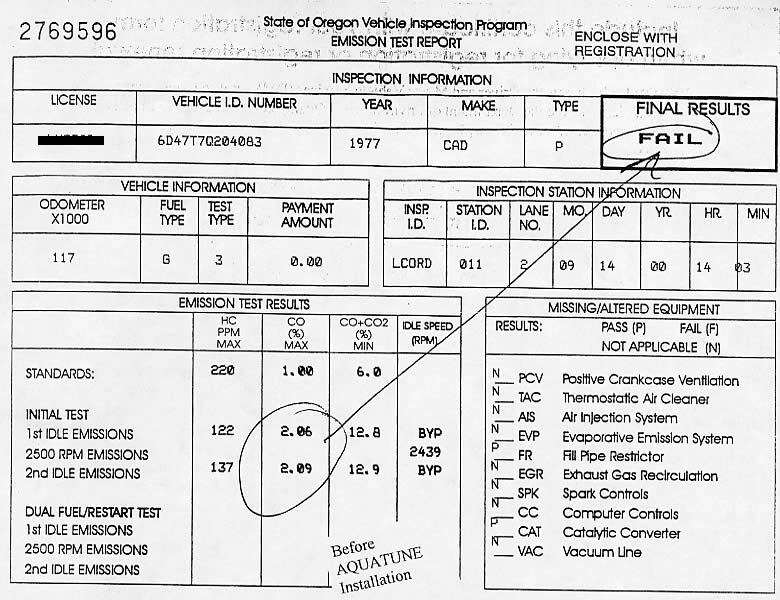 This vehicle didn't pass because the engine was not running efficiently enough, it was burning too much fuel. 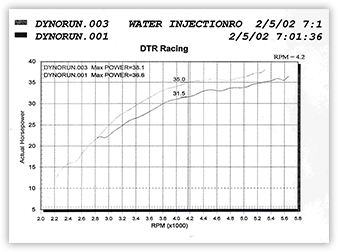 All that was done was to install the water injection system. 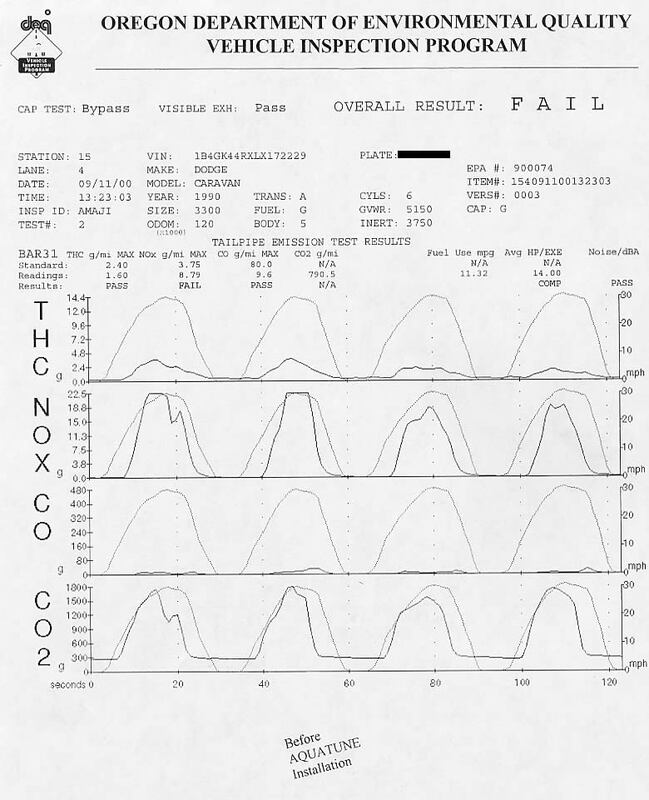 Now note the consequent reduction in both HC's and CO's. 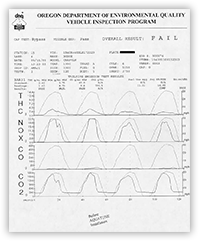 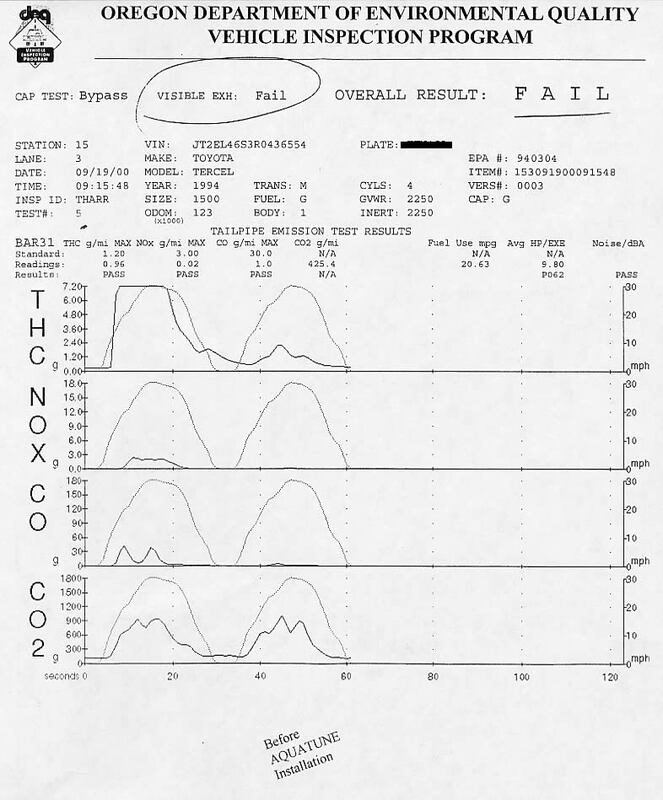 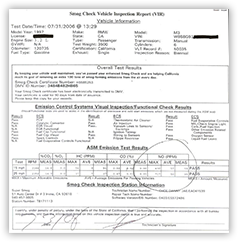 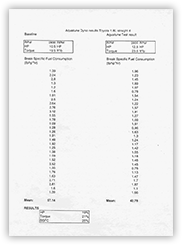 This test had to be aborted because the vehicle was burning oil excessively past the engine rings. 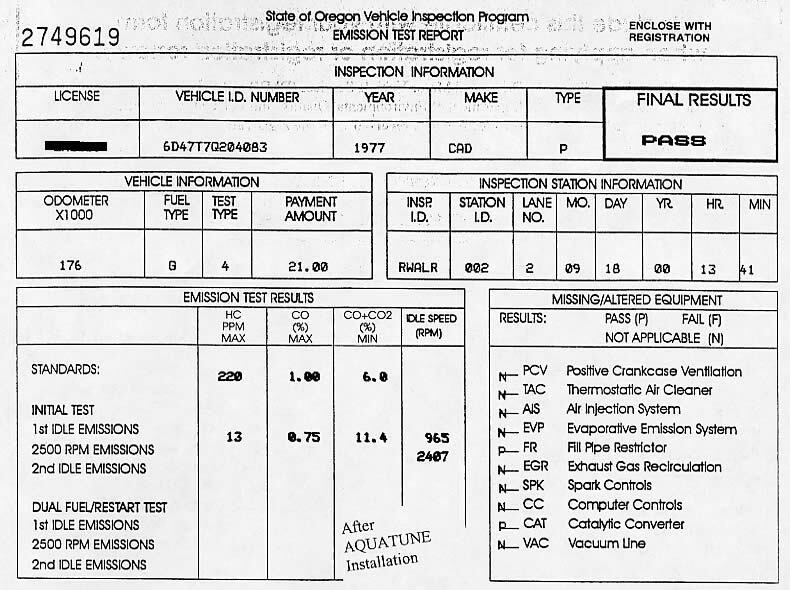 After the water injection system was installed the vehicle was allowed run for two hours and the smoke emissions were cleared up and the rings cleaned up. Please note the emissions on NOx and CO's. 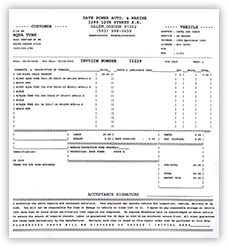 This customer had been told that he needed to replace the CAT converter and a major tune-up. 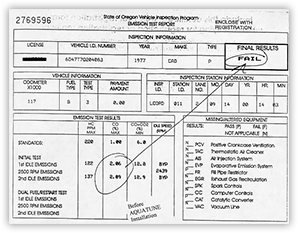 Estimated amount for these repairs was $800. 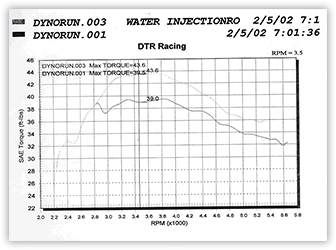 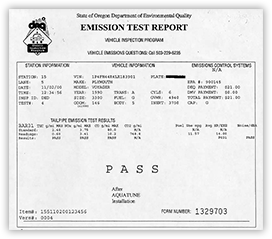 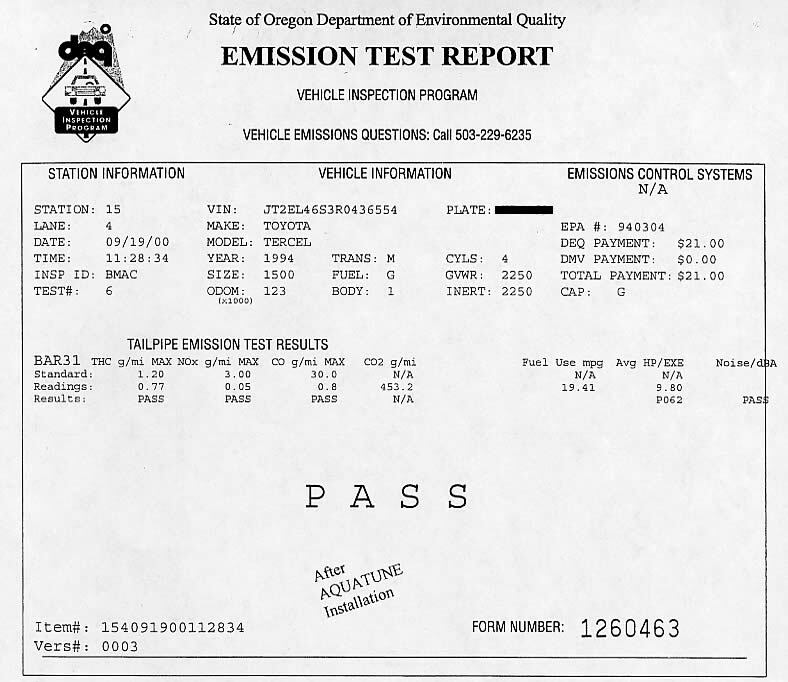 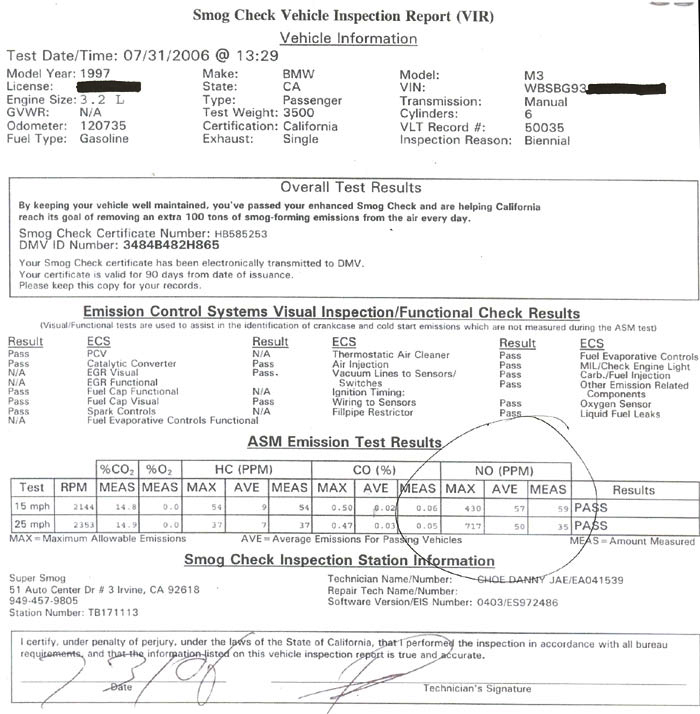 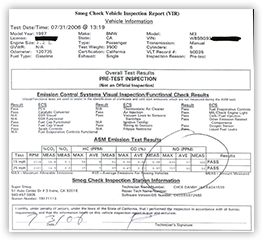 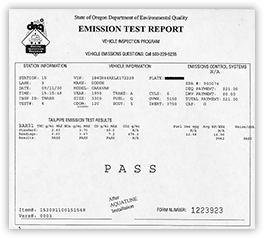 The water injection system was installed and the vehicle passed the emissions test easily. 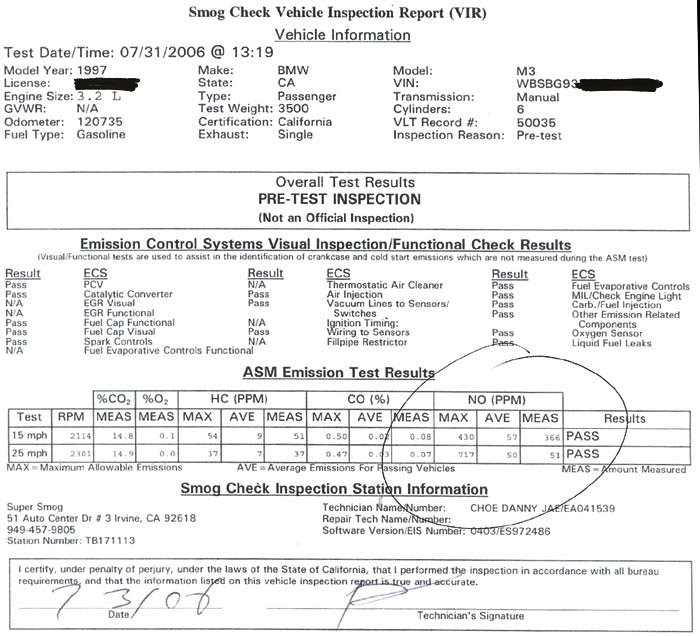 Different vehicle but, essentially the same problem as the Dodge Caravan in that this vehicle was failing on the NOx. 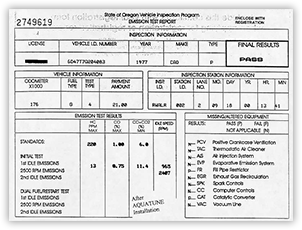 The water injection system was installed, the vehicle passed the emissions test and the customer saved approximately $600 in repairs. 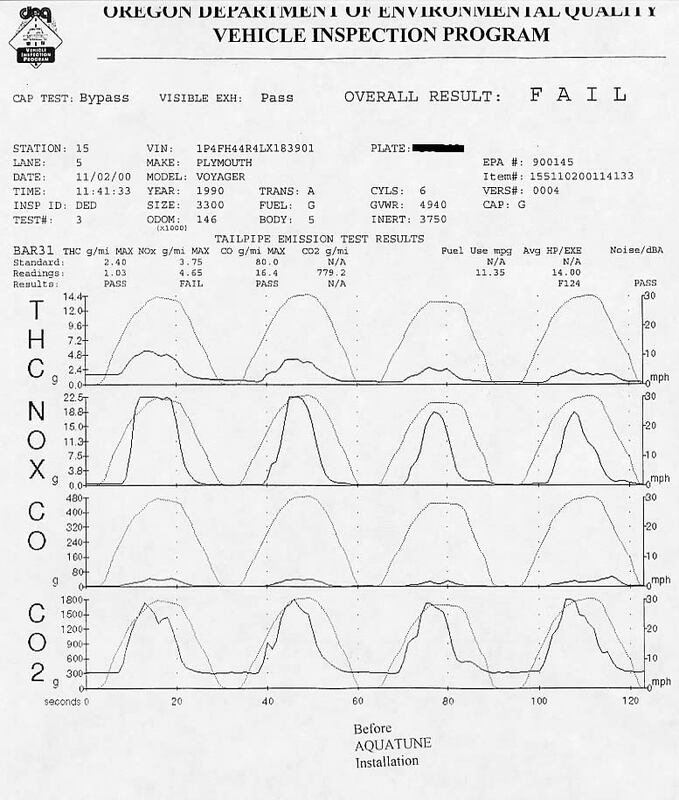 Before, NOX reading as it was certainly borderline from passing. 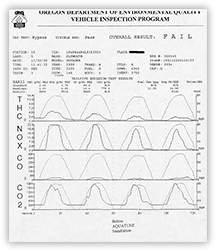 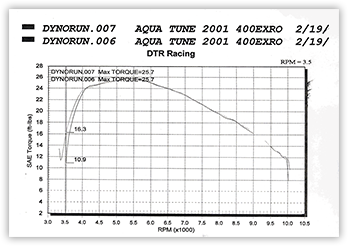 The After reading shows the dramatic drop in the NOX. 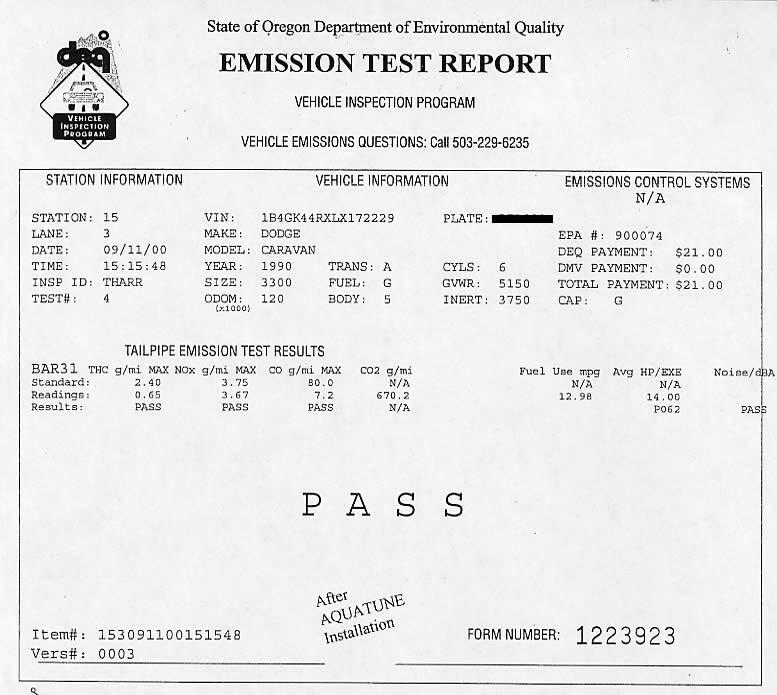 Note the reduction in emissions in the Before and After.